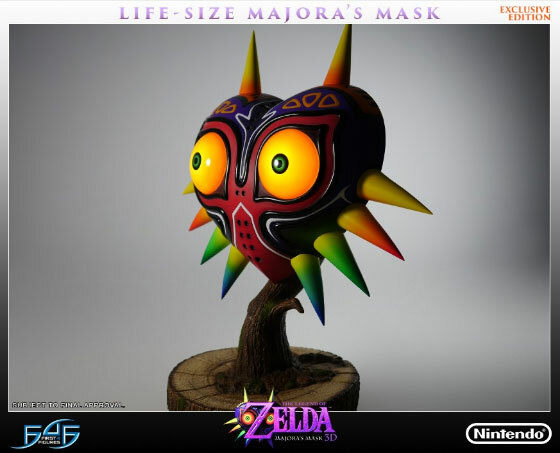 Who doesn't need a life-size replica of Majora's Mask? 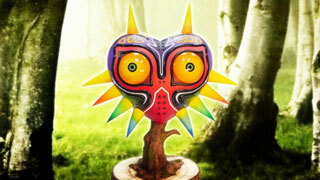 There are plenty of collectibles from games in The Legend of Zelda series. 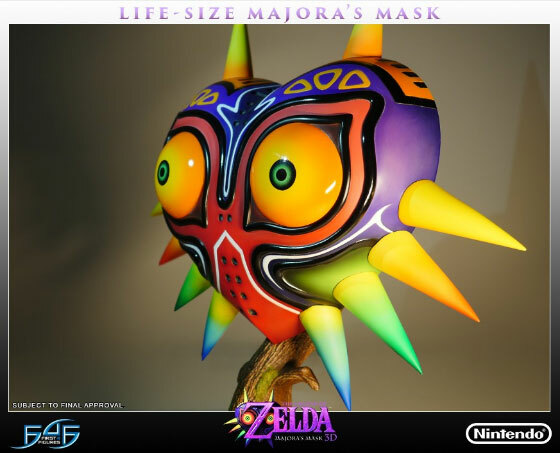 But if you're a fan who collects them, you've probably never seen anything quite like this. 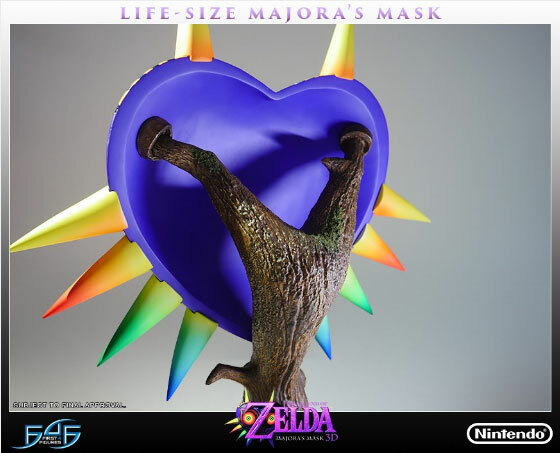 First 4 Figures has announced that it is now taking pre-orders for a life-size replica of Majora's Mask. 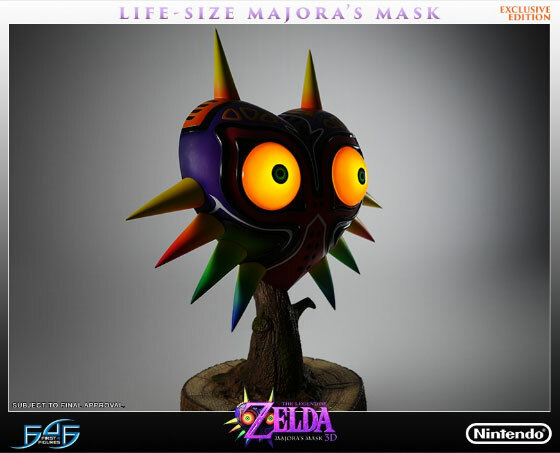 There are two versions of the mask, a regular edition and an exclusive version. 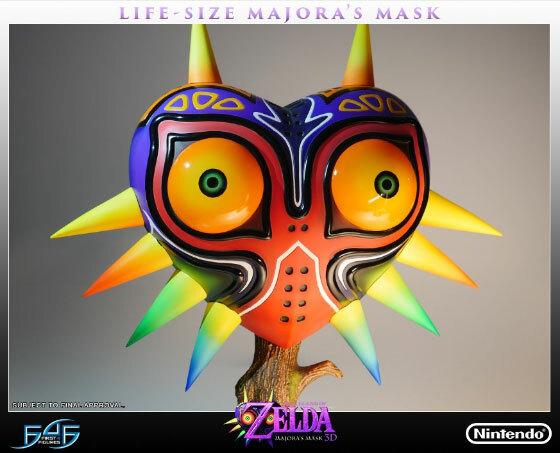 Both versions stand 25 inches tall from the base to the top pf the mask, are 23 inches wide, and weigh 17 pounds. The difference between the two versions? 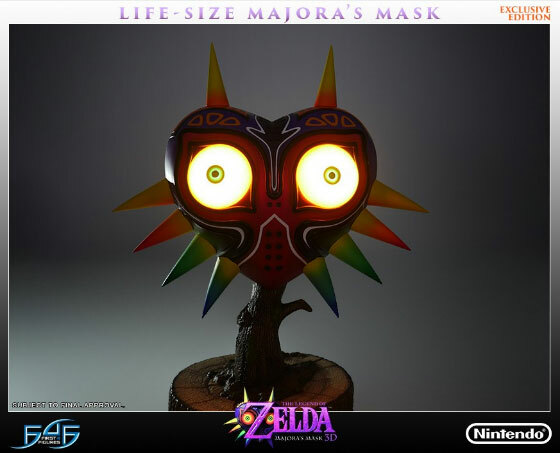 The exclusive edition includes LEDs in the eyes of the mask, letting them glow brightly. 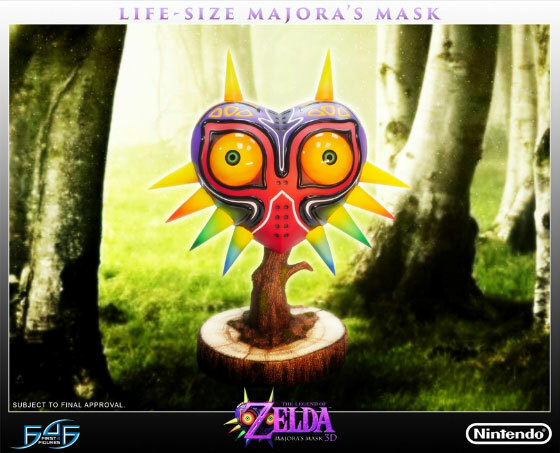 The number of exclusive masks will be set on January 24, after the first two weeks of pre-orders. 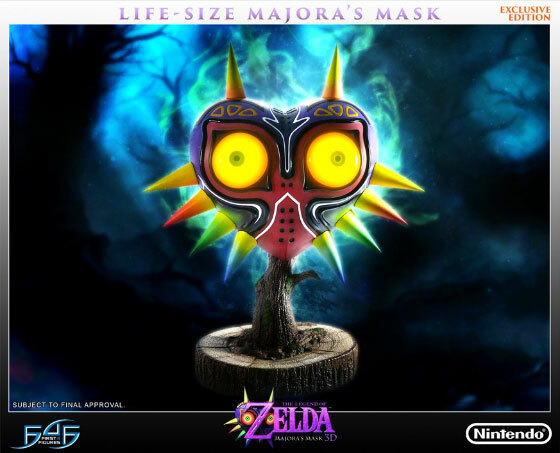 The masks are pricey, with the regular edition coming in at $354.99, and the exclusive edition at $384.99. You can pre-order yours, if you have the scratch lying around, at the links below.